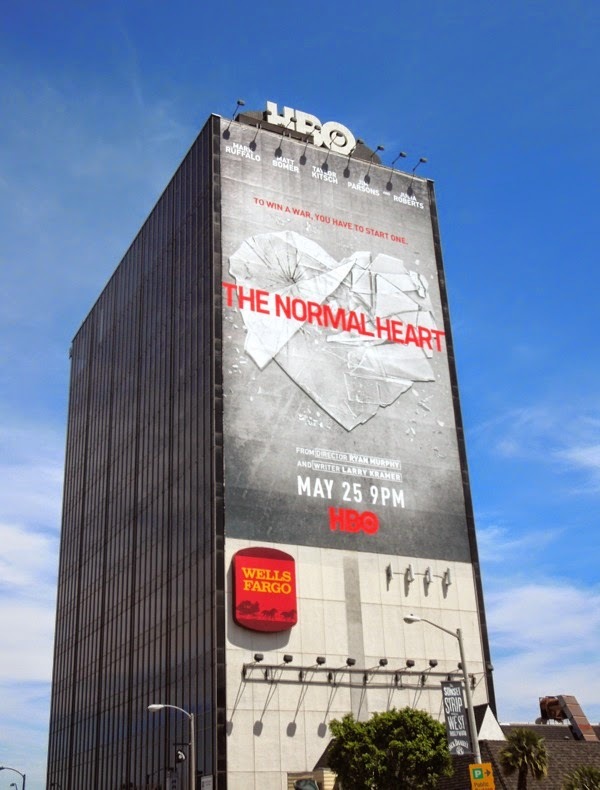 Dallas Buyers Club recently won several Oscars for its depiction of how HIV/AIDS affected straight man 'Ron Woodruff' and his battle to provide non-approved life-extending medications and treatments during the 80's for himself and fellow patients. 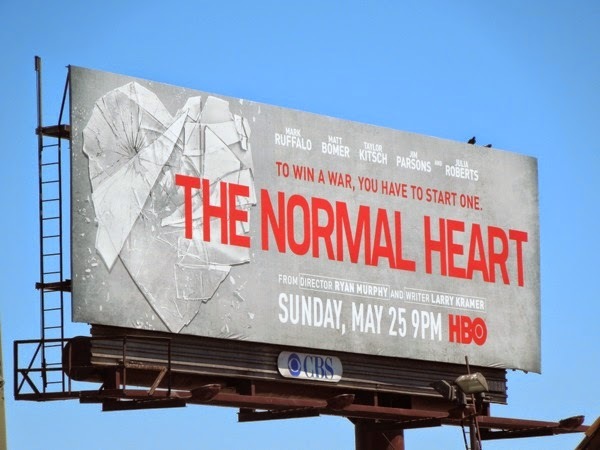 Now Ryan Murphy has assembled an all-star cast and directed an adaptation of Larry Kramer's largely autobiographical 1985 play, The Normal Heart, about the rise of the HIV/AIDS crisis in New York City between 1981 and 1984, from the perspective of outspoken gay activist 'Ned Weeks'. HIV/AIDS hasn't gone away since the early 80's and even though people affected by the disease are living longer thanks to new drugs and better care, a cure has still not been found, and men and women continue to contract the virus in this day and age due in large part to a lack of education, awareness and an apathy about the sexually transmitted disease. 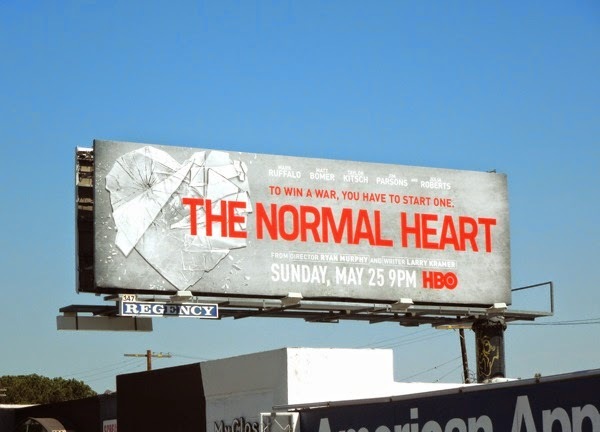 For this very reason it's important that Hollywood can shine a light on this continuing serious health issue and attract actors like Mark Ruffalo, Julia Roberts, Matt Bomer, Taylor Kitsch, Jim Parsons, Jonathan Groff and more familiar names to tell this important story. 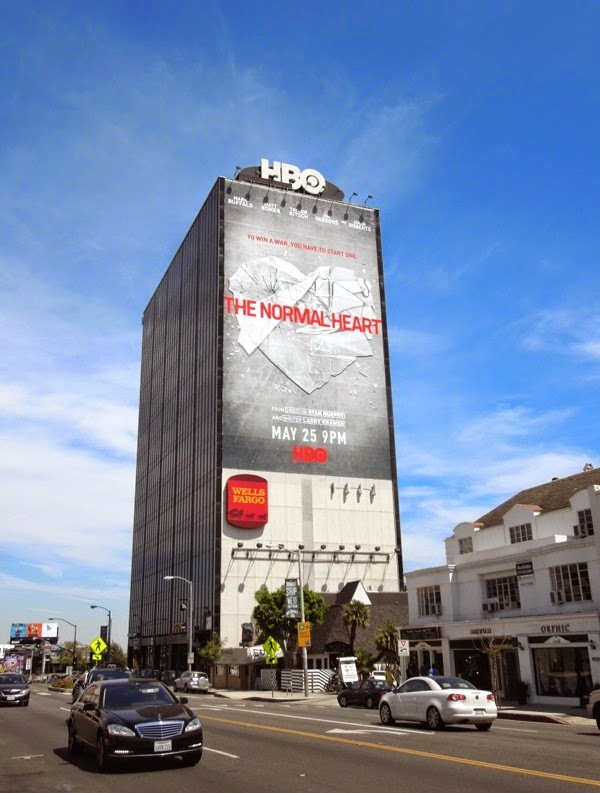 After witnessing the death of a friend from the mysterious new disease killing gay men at the offices of 'Dr. 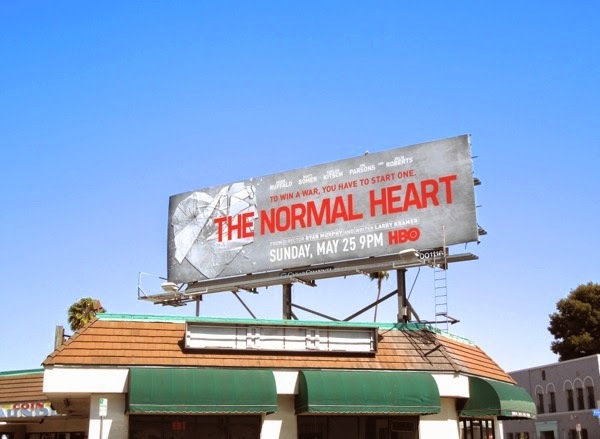 Emma Bookner' (played by Julia Roberts), Ned Weeks (Mark Ruffalo) tries to raise more awareness about the unidentified disease. 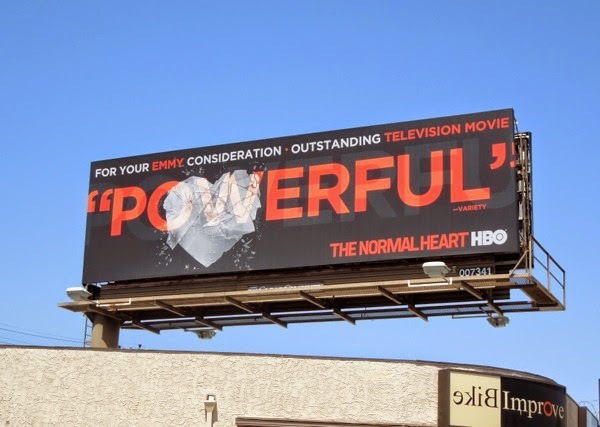 However no matter his intentions, his blunt approach threatens to alienate the people around him, from his brother, to his lover and his closeted friends. 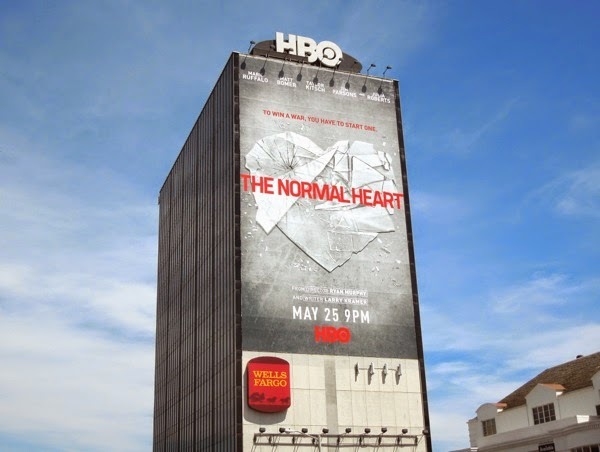 These eye-catching landscape billboards wight he shattered heart for the HBO movie were first spied along San Vicente Boulevard on April 28, plus in the following days along Vine Street and Melrose Avenue. 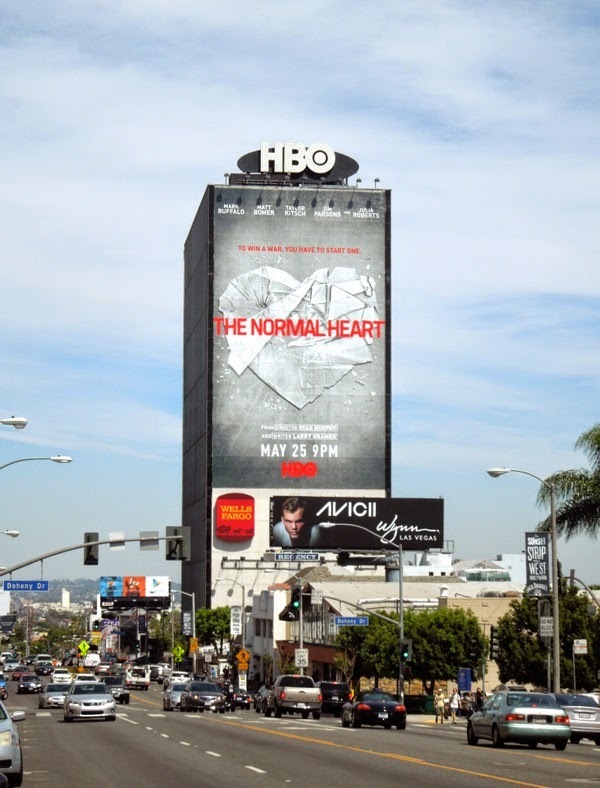 Meanwhile the giant-sized version for The Normal Heart was photographed dominating the Sunset Strip skyline on May 1, 2014. 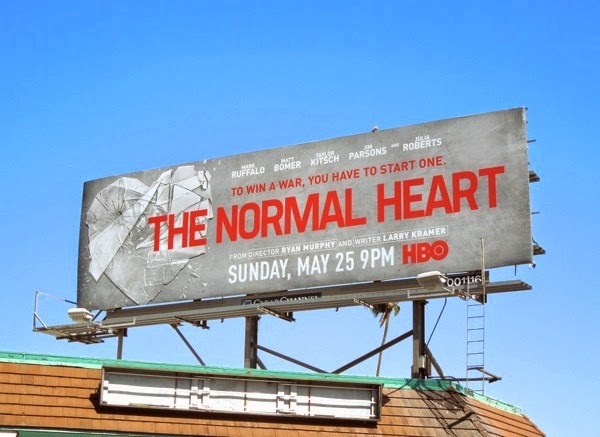 Let's hope this film can enjoy the same success as HBO's award-winning Liberace biopic movie, Behind the Candelabra, as this is an important era in gay and world health history and deserves attention so that we don't continue to make the same mistakes in the present day. 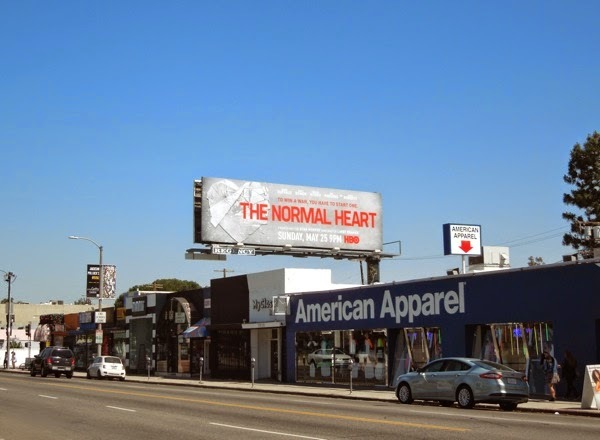 UPDATED: Here's also the 2014 Emmy Consideration billboard for The Normal Heart as part of HBO's 2014 Emmy campaign. 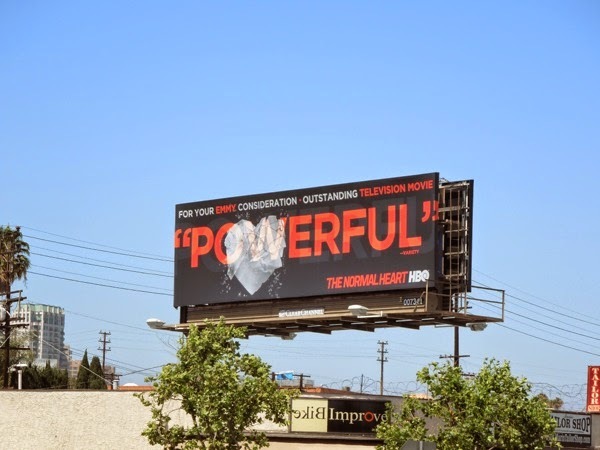 'Powerful' is indeed an apt description for the compelling TV movie and let's hope this billboard spied along Santa Monica Boulevard in Westwood on June 16, 2014 will help garner a few nominations for the heart-wrenching and enlightening film.